Each week teacher Jokaveti Qerea changes the theme word; and each week the emphasis is on good manners. Not just in the classroom but in every facet of life. Every week throughout the school year children at the earliest age learn the meaning of courtesy, kindness, caring, and respect – for parents, the elderly and infirm, and each other. 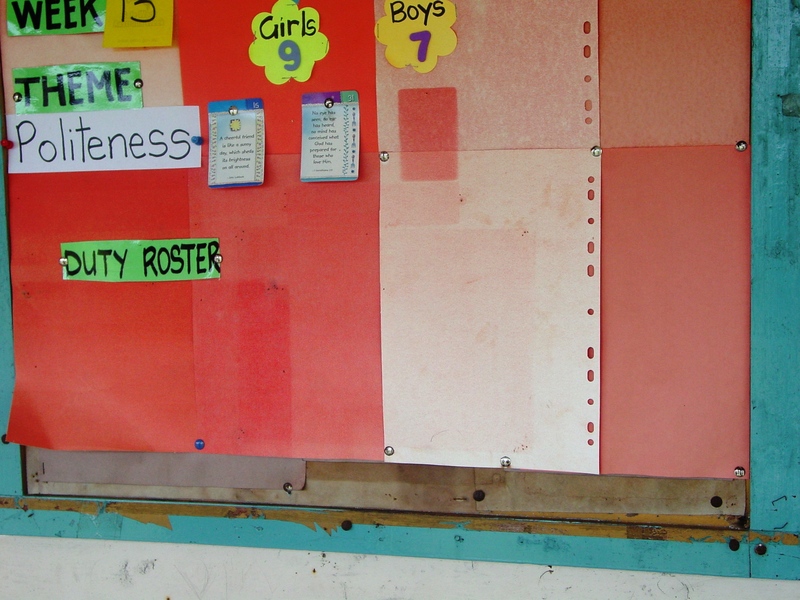 Dravuni Primary is located on a small Island, one the many forming Fiji in the vast reaches of the South Pacific. On my brief visit there year ago I couldn’t help but wonder how our crowded western world, with it’s multitude of blessings, would be if our children graduated from primary, elementary, middle school, senior secondary and college and university and entered adulthood with understanding of, and belief in, the Dravuni code of conduct? We could start with one word – courtesy. And overnight our world would be a better place.